A short walk from Hulihee Palace, this Kona hotel offers an outdoor pool and easy access to white sandy beaches and restaurants. All guest rooms include cable TV. 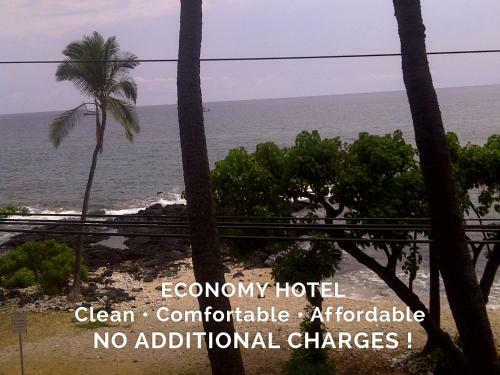 We specialize in Affordable Accommodations in beautiful, sunny Kona, Hawaii. Kona Islander Inn Hotel units offer private lanais (decks), color TVs and air conditioning. Our Hotel offers a swimming pool, hot tub, barbecue area, lush tropical gardens, and on site laundry facilities all just across the street from a small sandy beach on the beautiful Pacific Ocean!